Johni Esho, also known as J. Esho, is using the 2019 Junos in London as an opportunity to spotlight his work among Canadian musical greats. The Eshos were pretty much a household name in Tel Tamer, Syria. When Khoshaba and Mona, an Assyrian singer-guitarist duo, weren't dominating gigs in town, they were operating the popular Babylon, the area's only recording studio. Business was good, but the studio had to close its doors in 2005, when Khoshaba and Mona moved their growing family to Canada for greater opportunities. It didn't take long for Assyrian tunes to ring out once again — this time in London, Ont. Ten years later, it was their son Johni Esho, who followed in his mom and dad's musical footsteps by building his own recording studio in the basement of his parents' northeast London home. Johni, also known as singer-songwriter and producer J. Esho, wears his musical lineage with pride. "It's in my blood," he said. While it was his musical family that first introduced him to what would become his life's work, it was his hometown's obsession with live tunes that fuelled his passion. "Everybody there was into music," he said, noting that despite Tel Tamer's relatively small population of about 10,000, it had an outsized music scene. "That was the only fun for us," he said. "It was family, friends and music, that's how it was." As Esho grew, so did his passion. 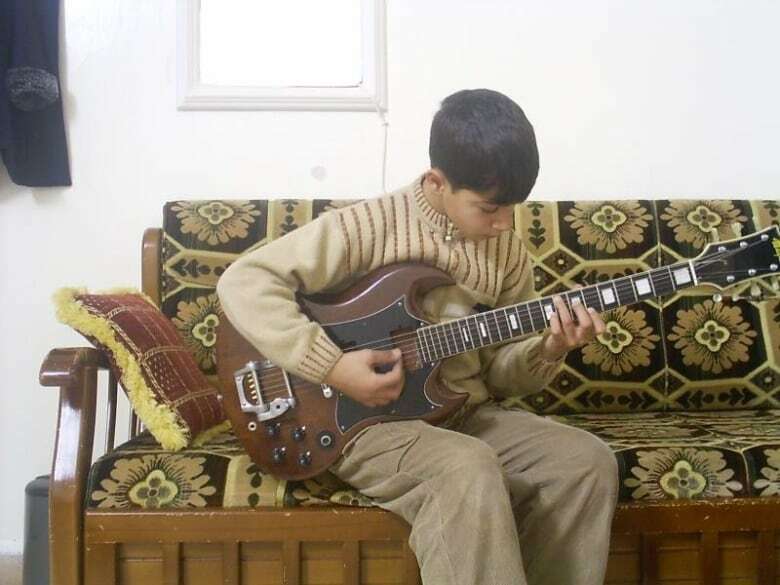 By age of 12, he could already play bass, guitar, piano and drums, he even produced an entire album. "This is easy, I can learn it," he always told himself. Esho eventually gravitated toward North American artists such as rapper TupacShakur and American-Mexican musician Carlos Santana. Through North American music, Esho started teaching himself English by learning song lyrics. So, when he learned he was moving to Canada, Esho thought, "oh, man, this is going to be good … it's going to be a new world." Esho's family is lucky. They left Syria before the country disintegrated into a brutal and bloody civil war. Because Assyrians still face persecution there, many more families like Esho's have left their war-shattered homeland to start new lives in North America. Esho's basement studio is fully equipped with a computer, work station, microphone and sound proof barrier and it has attracted partnerships with Assyrian artists from across the globe, including Sweden, Germany, Switzerland, Australia and the U.S.
Esho's first client was an Assyrian artist from Chicago. After word got out, Esho said "it just went crazy." "I didn't even have time to reply to the requests," he said. "They're like … this kid is bringing the new style, the new generation.'" Esho said Assyrian music sounds similar to Hebrew music and it has elements of funk, pop and jazz. What makes his signature sound so unique among Assyrian musicians is that he added an electronic, modern touch. With an established reputation for his modern twist to the folk/pop genre, Esho has produced music for the likes of popular Assyrian artists such as singer Linda George and German-Assyrian musician SargonYoukhanna. "Everybody wanted a piece of it," he said. Now, Esho is trying to focus on his own singing career. Like his producing style, his own songs are different and are influenced by Western culture. He described his style as pop, R&B and electronic dance music (EDM). He said he likes to sing about personal experiences including relationships and break-ups. "I try and keep it real," he said. He's using the 2019 Junos, hosted in London, as an opportunity to spotlight his work among Canadian musical greats. Though he's not part of the official events, Esho is hosting a listening party on Saturday, to celebrate the release of his song Hopeless Love. "I feel really great. I hope I can see some of those big artists. I learned from most of them."